Toner – Let’s talk about it. 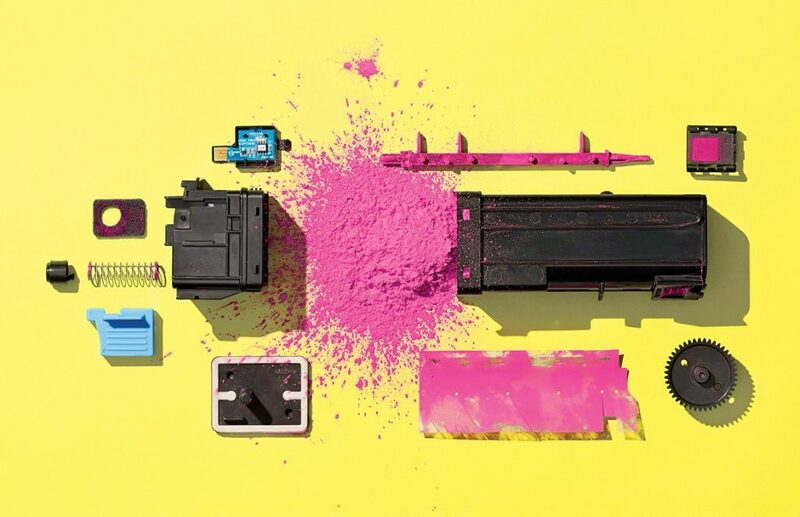 Toner is the life blood of your Xerox printer or multifunction printer. Without toner – you basically have a large scanner or paperweight (excuse the bad pun). Obviously, we at Magnum (a Certified Platinum Xerox Partner) recommend that you use genuine Xerox toner in your machines that comes standard in our All Inclusive Maintenance Plans. But sometimes, you might be tempted to use a bargain toner your friend gave your for Christmas. I would caution you against trying the bargain brands your friend found at a local dollar store. The old saying “You get what you pay for”, is very true when it comes to Xerox copier toner. In the long run, bargain Xerox toner can end up costing you more by causing problems with your Xerox printer/copier and causing you headaches and frustration…..and loads of money. The quality of your prints may suffer and you could lose valuable business because of poor quality output. Take a look at the following video that explains a tests done by the Spenser Lab on the true cost of bargain Xerox toner cartridges. The video gives you information on the test run and results found by Spenser Lab. Read the results from Spenser Lab in this document Xerox & Third-Party Toners – Reliability Test Report The tests found that despite the higher price Xerox genuine toner cartridges turned out to be the economical option. So the question becomes what is the true cost of those bargain(cheap) Xerox toners? Potentially much more than just the list price. Consider this before you are dazzled by a low list toner price. Please take a look at the brochure about identifying a genuine Xerox product by knowing what label to look for, this information will help you avoid non-Xerox certified partners. The trend now-a-days is to cover all your printers under a managed print services agreement. Getting one of those from an authorized Xerox vendor like Magnum, has proven to be more economical in the long run. Get in touch with us to discuss your unique requirements. Magnum is an exclusive platinum level Xerox dealer and our clients span across the United States. We can service and support your Xerox devices anywhere in the United States with a guaranteed same day / next day on-site service guarantee. Are copiers and printers becoming obselete in today's email / digital world? The new Xerox WorkCentre "i" Series is here. Print Quality Issue on Xerox 7800 series ? Clean the Print-head Lenses on the drum units. Magnum Group is an Authorized Platinum Xerox Dealer based in New York City and Houston. Our clients are spread across the United States - in more than 40 states. Our dedicated sales team has the unmatched industry knowledge, professionalism and expertise needed to address the unique challenges of your business. Our technical team honors all existing Xerox Printer and Xerox Copier warranties or can suggest a new Xerox maintenance plan. ©2004 - 2014 MAGNUM GROUP. All Rights Reserved.